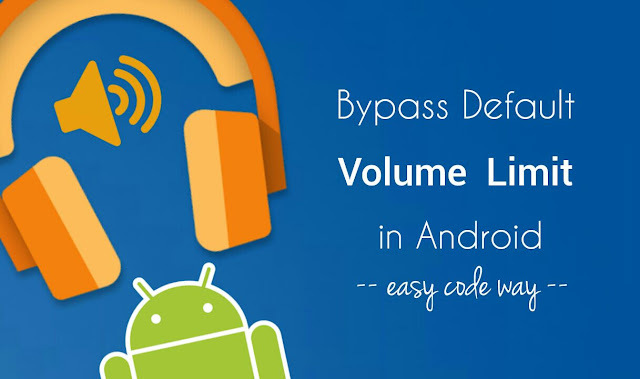 You might have noticed that most of the Android smartphones have very low volume by default. Manufacturer's put a limit on their audio volume output. They do so for some good reasons such as to protect your phone's speakers, for voice clarity and to prevent you from hearing loss. But sometimes, it can be a really frustrating for you to listen your favorite songs at a very low volume. Even using headphones and external speakers will do nothing until your phone allow them to increase the audio volume. Furthermore, you might have seen a warning message on your phone's screen many times when you increase the volume while using headphones. First of all, open the MX Player app. Now click menu button (three dots at the top-right corner of the screen) and then click "Settings". Here tap the "Audio" option. Now tick mark "Volume boost" button. 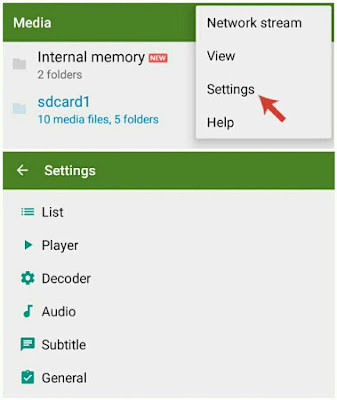 Basically MX is used to play video files only but you can also use it as an audio player. To do this, again go to Audio Settings and then tick mark "Audio Player" option. Now go back to the media library and click refresh icon to update the list. Note that, in order to increase the full volume, you have to use either H/W+ (stands for Hardware) or S/F (stands for Software) decoder. To enable them, first go to "Settings" and then tap "Decoder" option from the menu list. Under Hardware decoder section, tick mark "Use H/W+ Decoder" button. In the same way, tick mark "S/W Decoder" button under Software decoder section. Make sure to enable S/W audio also. 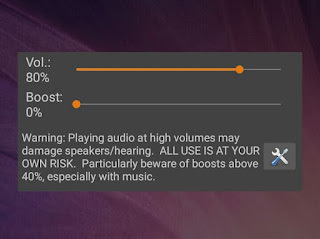 Now whenever you're playing a video or audio, first change the default decoder to any of these two and only after then you can increase the volume up to 200% (or 30 value). To get the best sound experience, keep it below 26 value. In some smartphones, you can also increase the MX Player's and phone's volume separately. 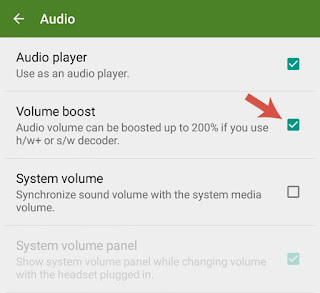 Speaker Boost is another app which claim to bypass the default volume limit in your phone. You can install this app from Google Play Store for free. To my surprise, it's just 56KB in size and it has been downloaded by more than 1M times. 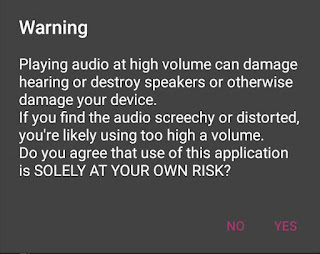 One of the risk of using this app is that, if you'll boost the volume to a very high value, it may damage hearing or destroy speakers or otherwise damage your device. Only you will be responsible for all damage, if occurs. So use this app at your own risk. After reading the warning carefully, click OK button if you want to continue. Now to be on safe side, it's better to customize the settings before increase the volume so that their will be no damage at all. All you have to do is to set the maximum boost limit, which is 40% by default. To change it, first open the Speaker Boost app and click settings icon (wrench). Now click "Settings" and then tap "Maximum Allowed Boost" option. After this, a pop up box will appear. Here select the threshold limit as per your own choice. I recommend using 10% only which will be good for sound quality also. From the same settings window, you can also tick mark "Show volume control" button to add the phone's volume slider alongside the app's boost slider. Please note that, If you find the audio distorted, immediately lower down the boost and phone's volume. This app may not suit your phone, so you can uninstall it any time. It's better to use first method which is evergreen and it is likely to be safe. Can cause hearing loss - Doctors and ear specialists have proved that listening songs at a very high volume can damage your ear veins and you may not to able to hearing things. Can damage your phone's speakers - As mentioned earlier, high audio volume can damage your phone's internal speakers or headphones. Increases the audio noise - High volume also increases the noise pollution. While on the other hand, you may not be able to hear the song clearly. No clear bass - If you think that increasing the audio volume will increase the bass, then you're damn wrong. Instead, it will distort the bass. 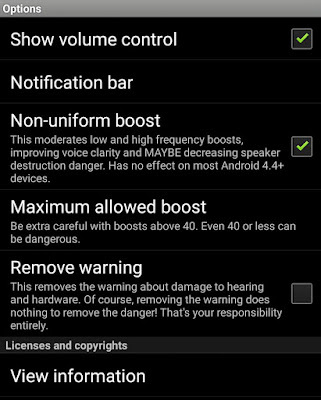 So these are some of the important points which you should keep in mind while bypassing the volume limit set by the phone's manufacturers. If you have any questions, feel free to drop them in the comments. Is there any other app you know?